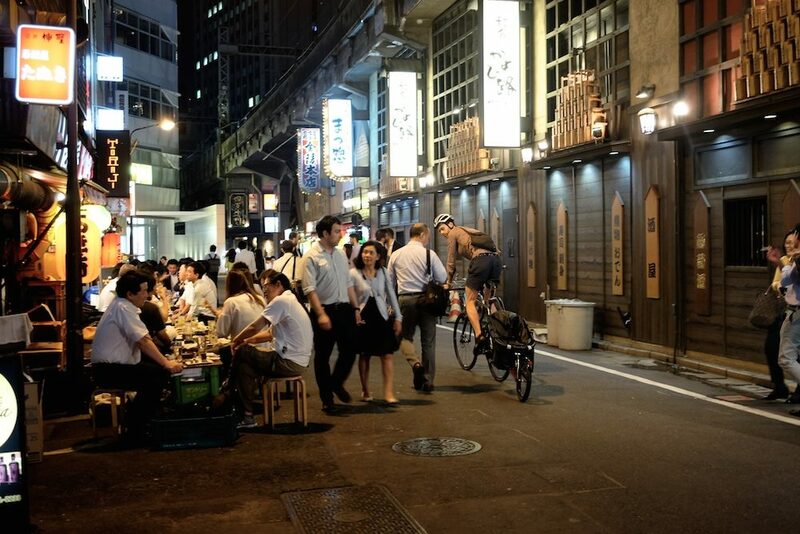 Japan is a dream destination for bike travellers. With a unique culture, incredible landscape, an abundance of great food and lots of places to camp – it’s a real delight to go both bicycle touring and bikepacking Japan. I’ve now cycled almost 5000km on the four main islands, and it’s safe to say that Japan is one of my favourite bike touring destinations. Let me arm you with information so you can get the most out of your time in Japan! It’s easy to enjoy yourself in Japan but be prepared to work hard for your keep. Japan is located near multiple fault lines, so it’s littered with mountains, volcanoes and steep winding roads. The backroads are almost always more hilly than the main roads, but this makes them all the more scenic. What Bike Should You Take? You can travel in Japan on ANY bike! 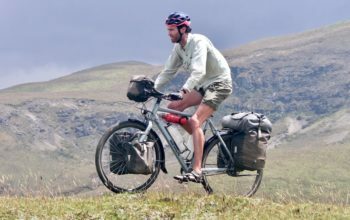 On my first trip to Japan I cycled on a tandem with touring tyres and panniers, and more recently I rode a road bike with racing slicks pulling a trailer. 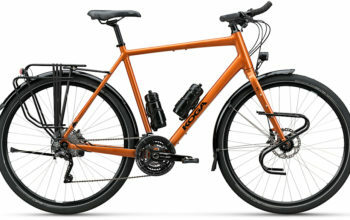 I don’t think there is any perfect bike for everyone, but a touring-specific bike and some panniers will be comfortable, durable and will take you on mixed terrain. 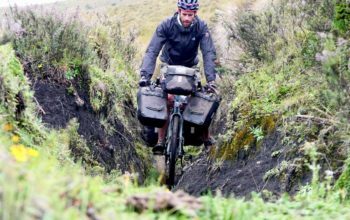 If you don’t mind going minimal, why not go bikepacking Japan with some strap-on bags? 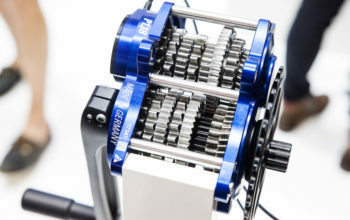 The most important thing about your bike: it should have a really small climbing gear ratio. I’m a very strong cyclist and found myself in my smallest gear (34x42t) multiple times per day – yep, it’s that hilly. Click HERE for my low gear ratio resources; I recommend using as close to 20 gear inches as possible. 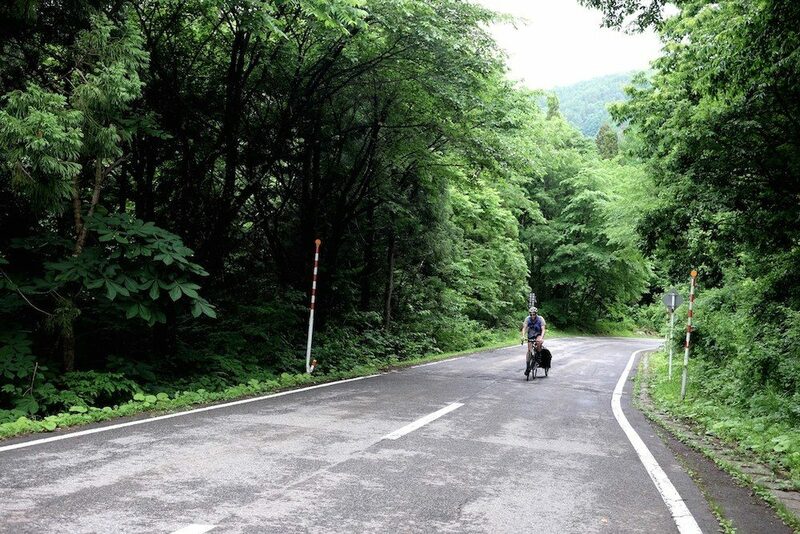 There are some excellent bike routes available for Japan. I’ve completed almost every route listed here and can verify they’re a great way to get the most out of your time. The big advantage of following these routes is that they’ll shuffle you onto the smaller back roads which you normally wouldn’t find. They also provide the easiest way through the big cities, minimising busy roads and making navigation a pleasant experience. JapanCycling.org has 4552km (2828mi) of routes from the south (Kyushu Island) to the north (Hokkaido Island). I’d recommend downloading the GPS files to use as a guide as they take in so many of Japan’s highlights. 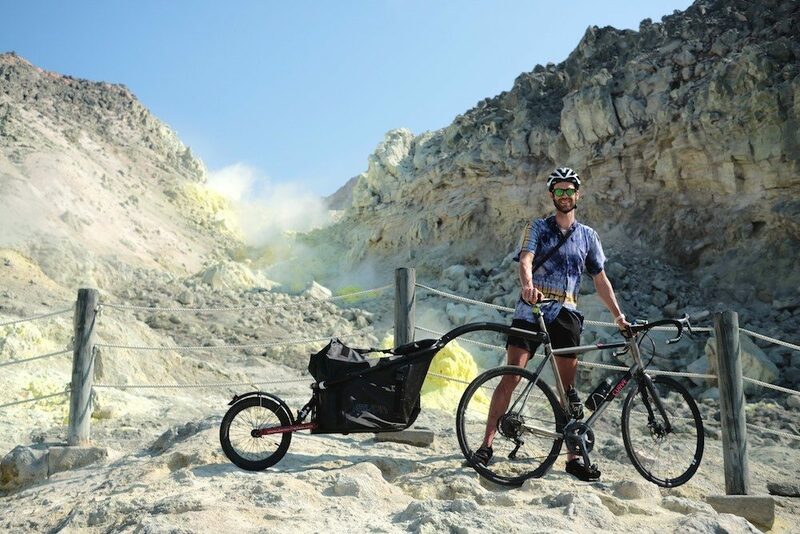 The Japan Odyssey is a yearly, long-distance cycling event which has riders creating their own route around a series of checkpoints and mandatory roads. The course designers aim to include the best roads in Japan, so I’d suggest seeing if any of the following segments can fit into your tour. 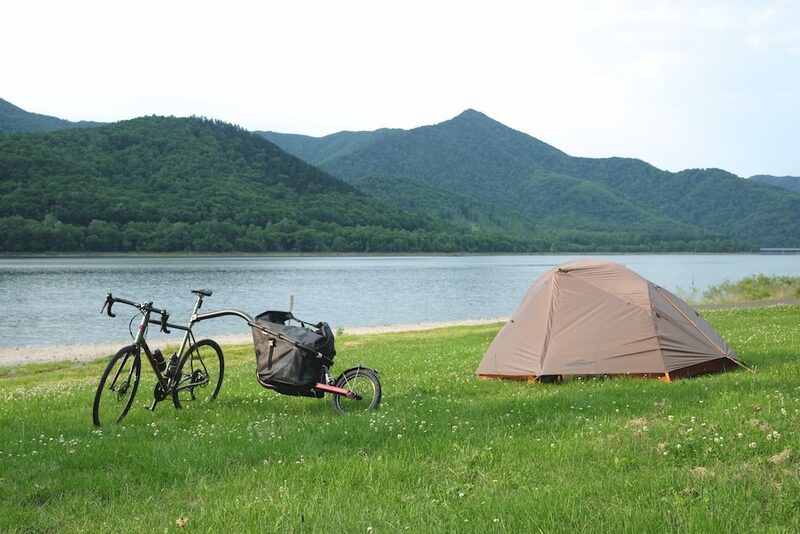 Rob from HokkaidoWilds.org has been busy establishing some really nice cycling options on Hokkaido. There are 1 through to 10-day cycling routes zig-zagging all over the island. 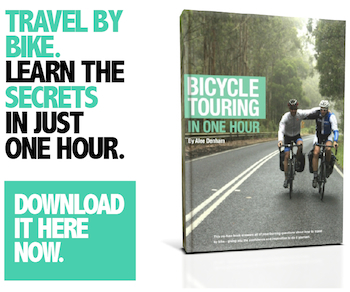 You can easily connect up multiple routes for a month-long tour (or longer). Given the heavy snowfall in winter, Hokkaido often has road closures. Bookmark this road information website because you may need to plan around them. You’ll come across multiple tunnels per day in Japan. Tunnels are extremely noisy to ride in; the smallest cars sound like the biggest trucks. While initially quite scary, you will gain confidence after tackling a few. The Japanese drivers will reduce their speed well below 50km/h (30mph) in tunnels and only pass you when it’s clear. The longer tunnels have a footpath to the side that you can cycle on. Make sure you turn on your front and rear lights before entering. 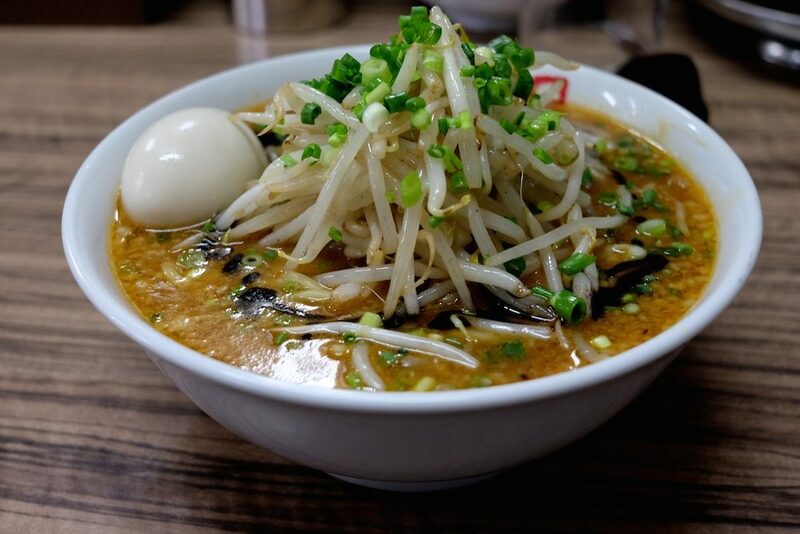 The Japanese food is simple, tasty and quite often healthy. Convenience stores are the gem of Japan, offering a broad range of small meals which will fill you up at any moment. You will often find multiple convenience stores within a kilometre of each other. Supermarkets are located in most towns. They all have a large range of fresh local produce, tofu, noodles, bread, pasta and sauces. I normally prepare my own breakfast and dinner from supermarket produce because I can piece together large, healthy meals at a really low cost. Shop after 6pm for 20-50% off the HUGE range of pre-prepared food. Small restaurants provide affordable meals in most towns. Expect to pay between 500-1500 yen (US $5-15) for a lovely traditional meal which is typically only available in the local area. You’ll notice vast differences in the type of food available, region to region. Everywhere has their own speciality. I travelled to Japan as a vegan (all of my trips are fuelled by plants). It was really easy to find everything I needed in both convenience stores and supermarkets, but a little more difficult in restaurants. I used the ‘Happy Cow’ app to great effect to find vegetarian and vegan places to eat. 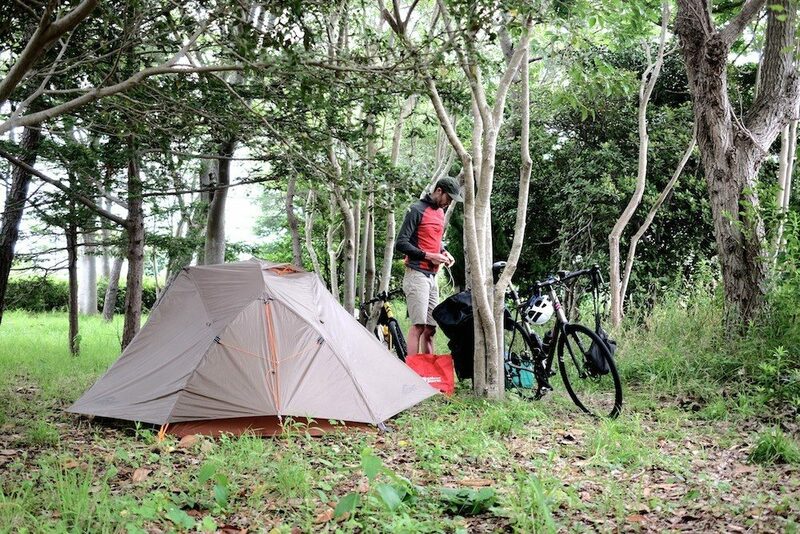 Campsites aren’t too common on the main Japanese islands except for Hokkaido. 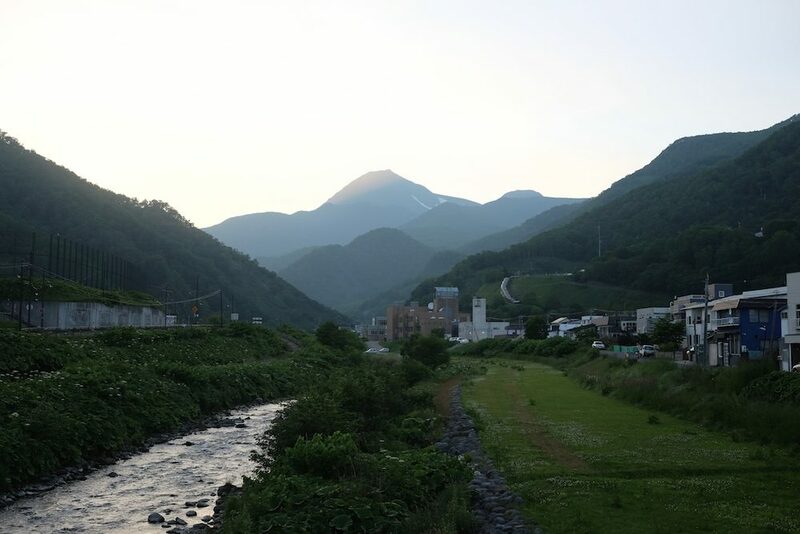 But here’s the good news: you can almost camp anywhere in Japan if you’re happy to wait until sunset and pack up early. I’ve camped in parks, temples and even museums. In towns with a river, there will almost always be a grassy park running alongside it. The Japanese people are very accommodating and will almost never ask you to leave. I used this map of free campsites and onsens ALL the time. I imported the data as a ‘KML layer’ into my smartphone mapping apps (Maps.me and MapOut) so that I could see when I was approaching a potential sleeping or cleaning location. Note: the paid campsites in Japan very rarely have showers. More on that below. Hotels are relatively common across Japan and will typically set you back about 6000 yen (US $60) per night. Airbnb tends to be a more cost-effective solution – you’ll need to plan a bit ahead but you can get far more, for less. Hostels are available in larger cities and towns and you can expect a bed in a dorm for a little over 3000 yen (US $30) per night. On the island of Hokkaido, there is an ultra-budget accommodation called a ‘Rider House’ available to motorbike and bicycle travellers only. These bare-bones establishments are typically located away from towns and are only open in the warmer months. THIS is a map of all of the Rider House locations on the island. You can take your bike on trains provided it’s either in a bike box or packed in a ‘rinko’ bag. 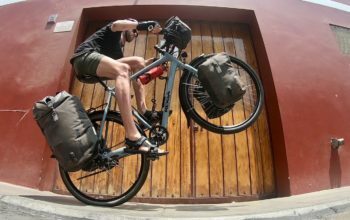 The latter involves removing the two wheels from your bike, putting them either side of your frame, and packing it all into a lightweight cloth bag. The bag doesn’t have to be fully closed, but it should be enough to not get grease or dirt on anybody. You can get Rinko bags from all bike shops for between 3,000-6,000 yen (US $30-60), but some people buy bike covers and a bit of tape from a ‘100 Yen Store’ and make do for a one-way or temporary solution. Buses will require you to pack your bike into a Rinko bag too. 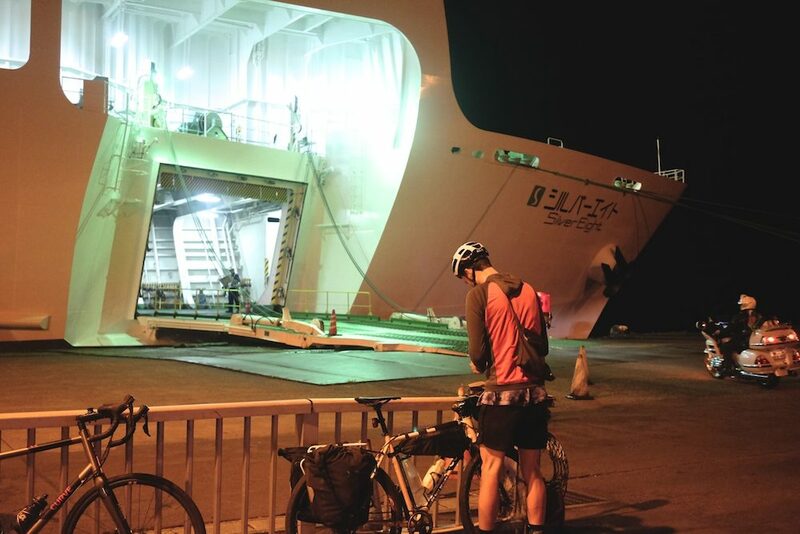 You can roll your bike directly onto most ferries. Every ferry I’ve taken has had a place for bikes, and sometimes they’ll strap your bike down to a railing. Ferries are a great way to connect up the hundreds of small islands off the coast of Japan. When catching taxis, ferries, trains and buses, you’ll need to make sure you have cash. Most don’t accept credit cards, and if they do, they probably won’t accept international cards. The onsen (communal bath) is a cultural institution in Japan. Every town has one, simply ask around for its location. You’ll fold your clothes into a basket, get naked, wash yourself down and then be able to sit in any of the hot pools for as long as you like. Occasionally the natural onsens are free, but cheaper onsens start at about 200 yen (US $2) while expensive hotel onsens are about 800 yen (totally worth it!). It’s unusual to find campsites that have showers, so if you’d like to have a good wash, make sure to find an onsen in the nearest town first. Japan is a really long country. This results in a very different climate between north and south. The island of Kyushu (south) is almost tropical, while the island of Hokkaido (north) is freezing in winter and hot/dry in summer. Monsoons tend to affect everywhere but Hokkaido, so expect heavy rain between July-September anywhere south of Tokyo. You can find free internet at convenience stores (7Eleven, Family Mart and more recently Lawson) as well as tourist information centres. If you wanted to be a bit more mobile, you can hire an ‘egg’ from the airport which creates a wifi signal that multiple phones can connect to. These aren’t cheap but can be good for a short trip. SIM cards can be purchased from BIC Camera stores if you feel the need to have the internet everywhere you go. With the abundance of convenience stores, it’s my experience that most people can travel without mobile data. Have A Question? 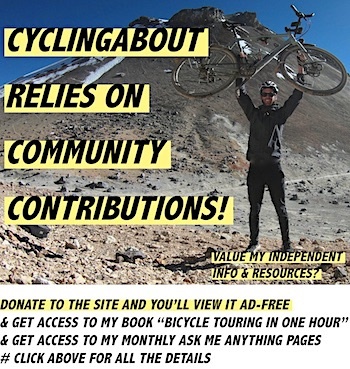 Drop A Comment Below, Or Try THIS Facebook Group of Local Cyclists.